Vegas2Web online casino has been at the forefront of Rival gaming casinos since 2009, when they began operating. Their opening offer to US players consists of a $1,000 bonus made up of a match bonus on your first 3 deposits as well as free spins every week for a year if the qualifying deposit markers are met. Vegas2Web are well known amongst US players online for their yearly VIP giveaways and extravagant promotions. In 2014, 10 lucky couples were escorted by the VIP team to the palace of the lost city in South Africa to experience- breathtaking luxury 5-star resort. Vegas2Web online casino is available on PC, Mac and mobile devices for your convenience so you’ll never be too far away from the exciting online casino games they have offering – over 150 games and climbing! Some of the popular Rival slot games that you’ll find are Dog Pound, Milk the Cash Cow and newer games like Leonardo’s Loot, Lion’s Roar and World of Oz. Slot games are not all that they bring to the table. 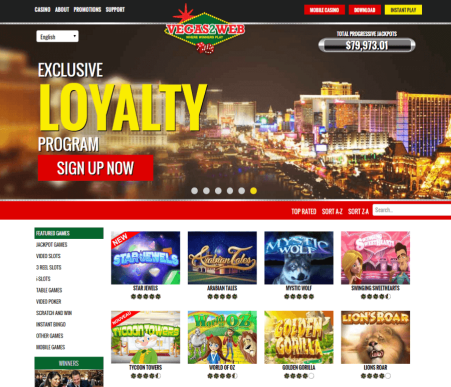 Included in their suite of games, your Vegas2Web account will give you access to both, table and video poker games, as well as, scratch card, Keno and unique games that you won’t find at any other software provider. The support team is available 24/7 and can be reached by mail, phone and live chat – details included below. • All account details including card information are saved on secure servers. On signing up, Vegas2Web online casino will award you a triple tiered welcome bonus which consists of a 100% match bonus on your first deposit, a 30% match bonus on your 2nd deposit and a 50% match bonus on your 3rd deposit. Apart from these offers, account holders will also be selected weekly to receive casino free spins, which in the case of Rival gaming, is a free chip that you can wager on any slot/slots you choose while the bonus is still active. For account holders who just can’t get enough and come back for more weekly, they offer a weekend purchase match bonus which allows you to claim between 25 and 40% in bonuses back on the deposits that you make! 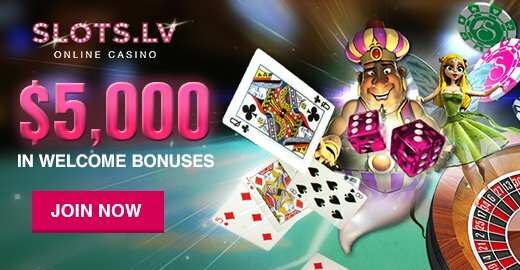 Daily, there are unique and exclusive promotions that run for all who sign up at Vegas2Web. The week kicks off with More Moolah Monday and a Mega Jackpot promotion. Tuesday offers twice as nice free play. Wednesday gets you ready for the weekend with an exclusive weekend warm up and all high rollers can also benefit from the Mid-week High roller bonus with a match of 100% up to $500. The Weekend Purchase Match starts on Thursday and from Friday to Sunday, Vegas2Web also drops in a Friday Freebie, the Saturday Supercharge and a Sunday Happy Hour. All these promotions have been designed to bring you the best value for your deposit. Facebook offers another avenue for casino promotions with Vegas2Web so, don’t forget to like their page for details on unique giveaways and casino information. Vegas2Web’s Support team is available 24/7 and can be reached by phone, live chat and email. The team is focused on quick and efficient responses to all account related queries so whether you need information on the latest promotion, payment details or have other general queries, a friendly member of staff is always within a phone call, chat or email away. Visit the site or log into your account for Live Help. Vegas2Web allows US customers to fund accounts by Visa and Mastercard. NETeller is also available as an international deposit option for residents outside of the USA. If you have chosen to fund your account from outside of the USA and with Euro as your account currency, you will also be able to view options wire transfer and Paysafe card for processing. Vegas2Web allows you to withdraw up to $5,000 per week ensuring that your winnings get to you faster. Before any first time payment is made to you, withdrawal documents will be required which include, ID, Utility bill (not older than 3 months) and any other document the team may deem necessary to process payment of your winnings. Once approved, withdrawals will be received within 5 – 15 working days if Wire transfer is your preferred method of payment. In special circumstances card payments can be made so, remember to look into this with the support team if you’re unable to receive wire payments. Vegas2Web has been on the scene for close to 7 years and from what we’ve seen online recently, have been very accommodating in addressing forum complaints and resolving any game play/payment issue account holders may have encountered in the past. Processing is fast and secure and the support team will help to let you know which step your withdrawal is at in the payment process.